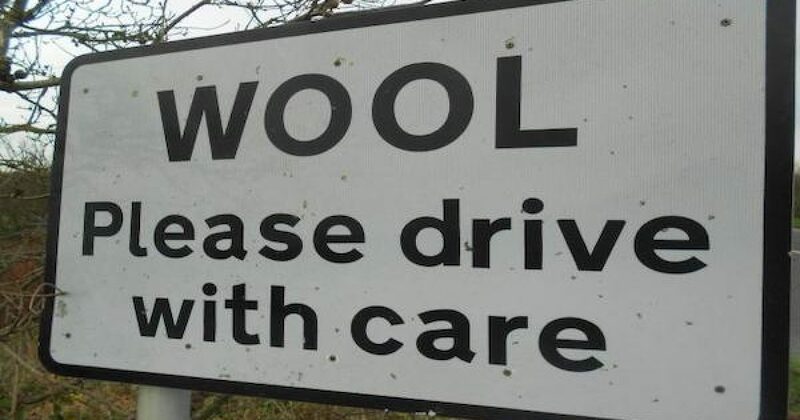 If the folks at PETA did any research, perhaps they would find out that the name of the town, “Wool” has nothing to do with sheep or the warm fabric. The name Wool comes from the ancient Anglo-Saxon word “welle” meaning water spring. Does PETA want people to stop drinking water because of cruelty to rain clouds? 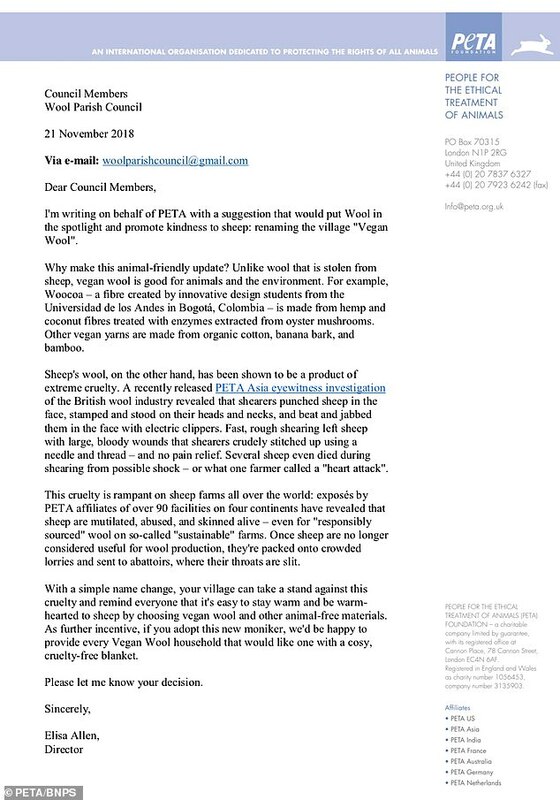 Elisa Allen, a director at PETA, has written to Wool Parish Council with the ‘ridiculous’ request. She said the change in name would promote kindness to sheep. The activist said they would give a ‘cruelty-free’ woollen blanket to all 2,000 households in the village if they agree to the suggestion. Note the letter from PETA is at the end of the post. Because PETA has made the suggestion in writing members of Wool Parish Council are obliged to list it on the agenda at their next meeting – but the matter is likely to be laughed out of the room. Local councillor Cherry Brooks said: “It is a ridiculous request and it’s caused quite a stir in the village. “A few people are quite offended but most people seem to find it amusing. Residents have already discussed the proposal in social media, and they weren’t kind. Some worried about the fate of other historic towns such as Ham, Cheddar Gorge, and Melton Mowbray. I can’t wait to see what comes out of the next town council meeting where the name change is debated. Until then I will be putting some juicy t-bones on the bar-b-que and singing about Mary’s Little Lamb.